Category: Aveda Inspired Furniture - Aveda Salons Only.Tags: Aveda Inspired Furniture, Aveda Inspired Retail Wall. 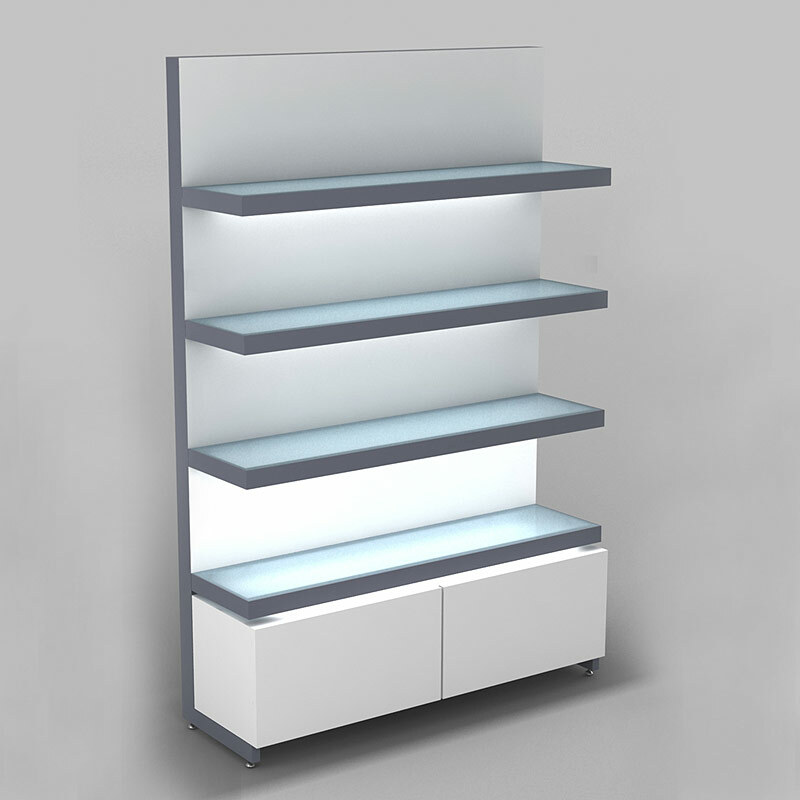 The 4ft Retail Wall Unit with back panel includes LED illuminated shelves and a bunker for storage. It has a back panel and is finished in White finish.